We found a ahnd crank machine 4 design near the entrance to the museum/gift shop. 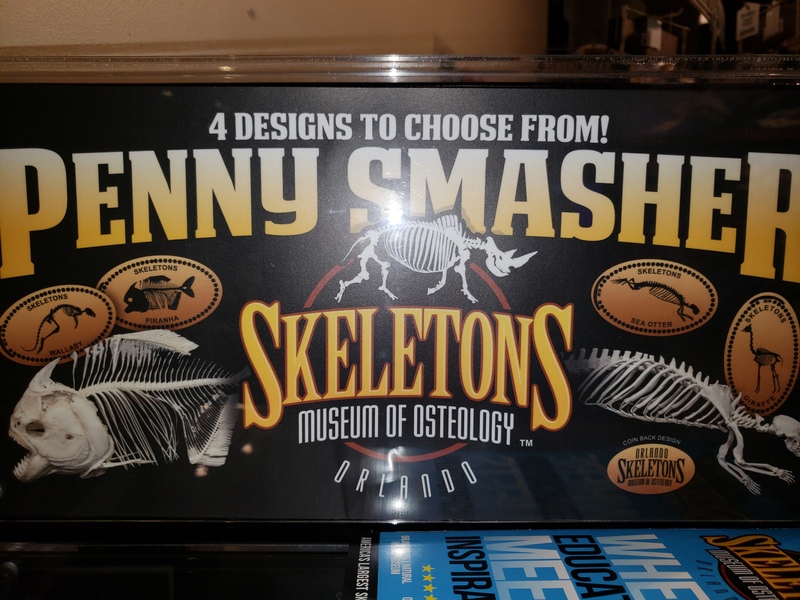 They had 4 designs and it presses designs on one side of the penny and the name of the museum on the other. 2 machines here, one you have to pay and enter the Museum to access. the other in the gift shop no entry fee requried. HalloWeenQueen73 added Skeleton Museum to system.